Welcome to KoreaOrbit.com! This web portal offers Korea newcomers and experts alike the opportunity to become informed and exchange information about the republic of Korea, Korean culture, Korean politics and Philosophy, Korean history, as well as current events and developments in and about Korea. Planning a trip to Korea? Our travel section provides information about all the major attractions in South Korea along with essential travel advice for your upcoming visit. Become better acquainted before you go so as to make the most of your time there. Here you will find out how and where to eat, shop, sightsee, and relax with tips from fellow travellers to help your trip go as smoothly as possible. 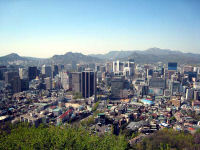 Take a step into Korea and you will find yourself immersed in a rich and vibrant society. Here is a country that combines its historic routes with the fruits of modernity to create something truly unique and full of character. Learn more about this lively culture through our articles about popular Korean traditions, customs, and ceremonies. Korea boasts a rich history dating back thousands of years. Each chapter of Korea's history reflects the vibrancy of their culture as well as the great challenges and changes Korea has undergone. Here you can learn about the many different kingdoms, wars and events from its earliest known beginnings to its current state. While Korea can be considered an ideal travel vacation for tourists, it also remains an attractive location to settle down and live in. Ideal for investors and foreign business, Korea is a modern and comfortable country which attracts many expats and temporary foreign residents. Learn how you can get started in your search for a new life in Korea and discover a world of possibilities. Can't find what you're looking for on our site? Our link directory offers a large and growing database of useful websites related to a wide range of aspects about Korea. The list is continuously growing with the help of viewers like you through our interactive interface allowing users to suggest useful links for our approval. A gush of wind on the land of the morning calm, thatâ€™s how one can describe the â€œForgotten Warâ€ that has a continuing significance on this nationâ€™s history. This gush of wind will disappear in the vacuums of space, as a young astronaut from South Korea who is about to be sent into orbit has announced that he would take the soil from each side of the DMZ and mix them together while in orbit around the earth. A former chief of a large South Korean automobile conglomerate had been elected as the country's new president. Lee Myung-Bak, former leader of Hyundai Conglomerate for 27 years and former city mayor of the capital Seoul, is due to be sworn in as the new leader of the country's next government. When living in a new country, there will always be some essential information that one should be aware of. Whether you are still deciding to visit or have already settled down, here you can find all the basic and necessary facts one should know when visiting or living in Korea. Find out Korea's country code, currency conversion rates, and major holidays. The History of Korean Dynasties extends as far back as 2,333 BC, when legend has it that the Gojoseon Dynasty was founded by Dangun Wanggeom, considered the founder of Korea. According to Myth, the Lord of Heaven's son and father of Dangun, Hwanung, longed to live on earth among the people and descended at the famous site of Baekdu Mountain (Tian Chi in Chinese). Some 700,000 years ago, hominids took their first steps on the fertile land of Korea. They were hunters, gatherers, and fishers, as proven by the ancient stone tools found across the peninsula. They lived in caves heated by fire, where they cooked their food and made their lives for hundreds of thousands of years until c. 8,000 BCE. This period in Korea's history is referred to as the Palaeolithic period. Traveling to South Korea is for the most part a simple task, as the government is relatively lax on foreign entry. For short stays of less than one month, nationals of most countries will not be required to obtain a visa. Citizens of many countries will even be allowed to stay for 3 months, and Canadians are allowed 6 months of stay without needing any visa documents. The People's Republic of China regarded America as acting as an imperialistic aggressor who not only interfered in inter-Korean affairs without any justification, but who also interfered in inter-Chinese affairs. In particular, it was America's support for Chiang Kai-shek's Guomindang in Taiwan that drew PRC criticism. Chiang Kai-shek was able to repeatedly repel invasions led by the Chinese People's Liberation Army with the aid of American weapons.